Missing teeth make it difficult to chew without discomfort or smile without being self concious. If missing teeth are not promptly treated, they can cause your remaining teeth to shift and become crooked. With a dental bridge, your existing teeth are used as anchors. The dental bridge fills in the space caused by missing teeth. 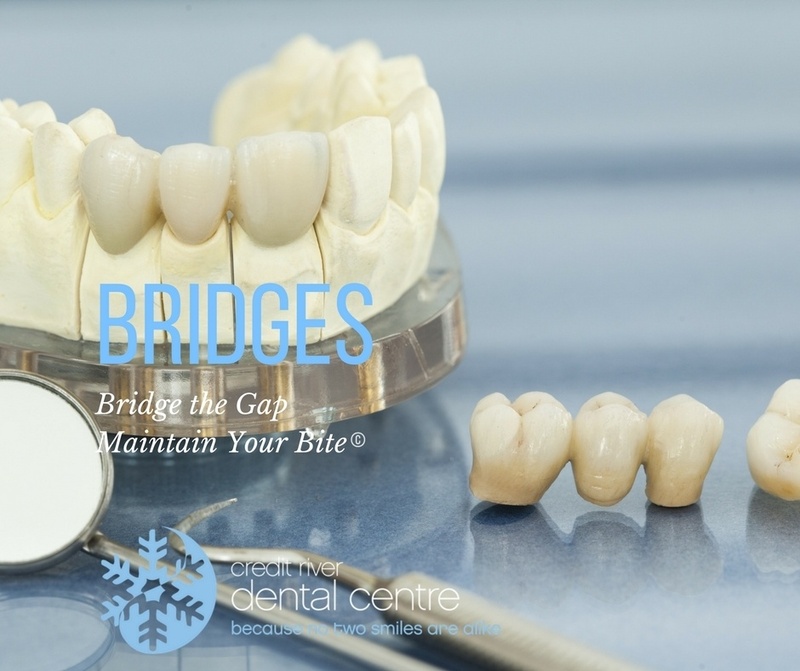 Dental bridges can be composed of various materials, including gold, porcelain, metal or alloys. A porcelain bridge is a good option for you if you would like your dental bridge to fit in seamlessly with the rest of your beautiful smile. Not only is porcelain both durable and stain-resistant, but best of all, porcelain imitates the colour and reflective properties of natural teeth. Dr. Lee first prepares the anchor teeth by recontouring them to accommodate the crowns. He will then fabricate impressions of the teeth and send them to our trusted dental lab technicians. After two weeks, once your final dental bridge is ready, you will return to our office. Dr. Lee will first check the fit and bite and then he will use an adhesive to permanently cement your dental bridge. Getting accustomed to your new bridge should only take a few days. For the first day or two after your procedure you should keep to a softer diet. Within a week, you will return to speaking with ease, and smiling with confidence and go back to eating all of your favourite foods! Find out if a dental bridge is right for you! Call us today at Credit River Dental Centre!